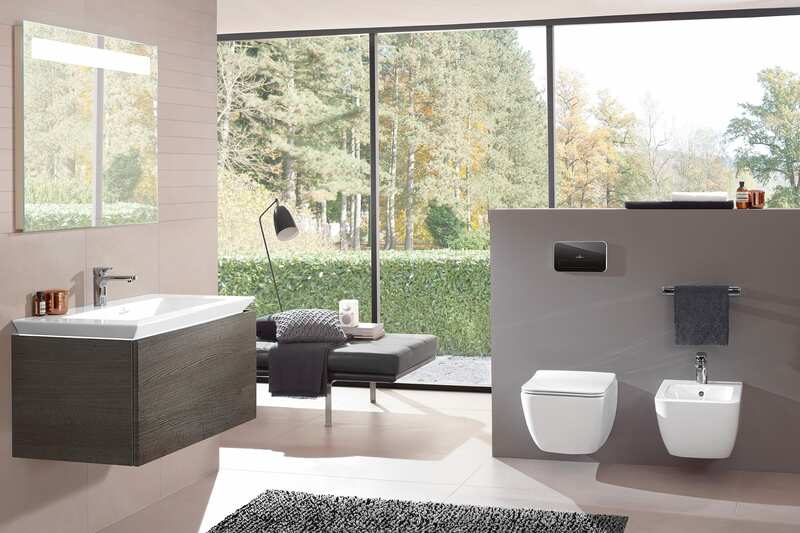 The brand new Villeroy & Boch Legato suite is now on display in our showroom. Legato is a complete bathroom collection of uniform elegance for sophisticated tastes. Straight-lined ceramics perfectly complement the expressive design of the successful furniture programme. The washbasin, in particular, appears to hover: an effect that can be further heightened at night with the optional LED lighting. The handle-free, commodious furniture now also comes in the on-trend colour White Wood, offering plenty of scope for combination – for a bathroom that’s as unique as your style. The Legato furniture is available in an array of colours and sizes, to suit any small cloakroom or large en-suite. Visit our showroom today to see the new Legato display and speak to one of our design consultants for more information.